Following the recent terrorist attacks, the U.S. House of Representatives passed a Bill tightening aspects of the visa waiver program that affects citizens of 38 countries. 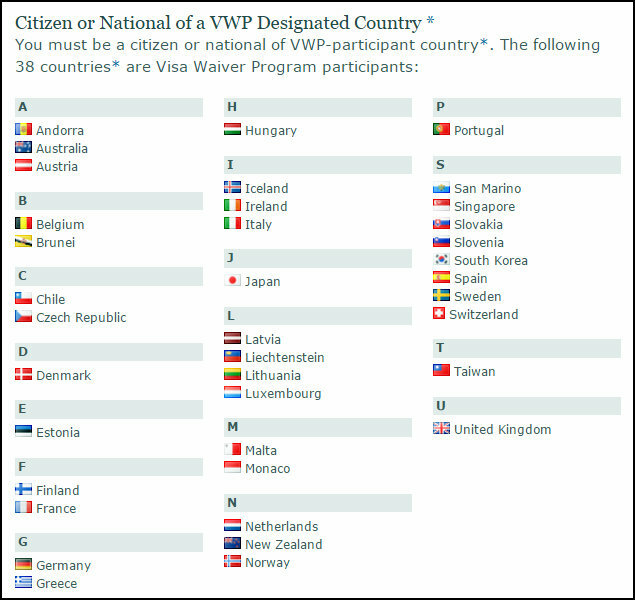 The visa waiver program currently makes it possible for citizens from 38 approved countries to travel to the United States for up to 90 days without first applying for a visa. The United Kingdom is one of the 38 nations in the programme, and Bermudians are eligible, and often travel on, UK passports. “The House and Senate bills would require countries participating in the waiver program to issue passports with embedded chips containing biometric data, report information about stolen passports to Interpol and share information about known or suspected terrorists with the United States. “The House measure also seeks to prevent Syrian and Iraqi nationals, as well as any passport holder of a waiver country who has traveled to Syria, Iraq, Iran or Sudan since March 1, 2011 – the start of the Syrian civil war – from taking advantage of the program. “These individuals would instead be required to submit to the traditional visa approval process, which requires an in-person interview at a U.S. embassy or consulate. What is not clear here is whether Bermudians will be able to still have the waiver with a Bermuda Passport. Could someone answer that as Bermuda us clearly not on this list. Who cares? They fund and arm ISIS yet claim to fight them. The WORLD should boycott their cesspool of a country. If you have travelled East you would see that crap hole has nothing to offer but temporary superficial sh*t.
CLEARLY Bermuda is not listed…does this mean we have to get a visa to enter the US now? Could be a bit of a nightmare!